When looking at any great portrait, I find myself considering the differences between the person as picture and the person herself. 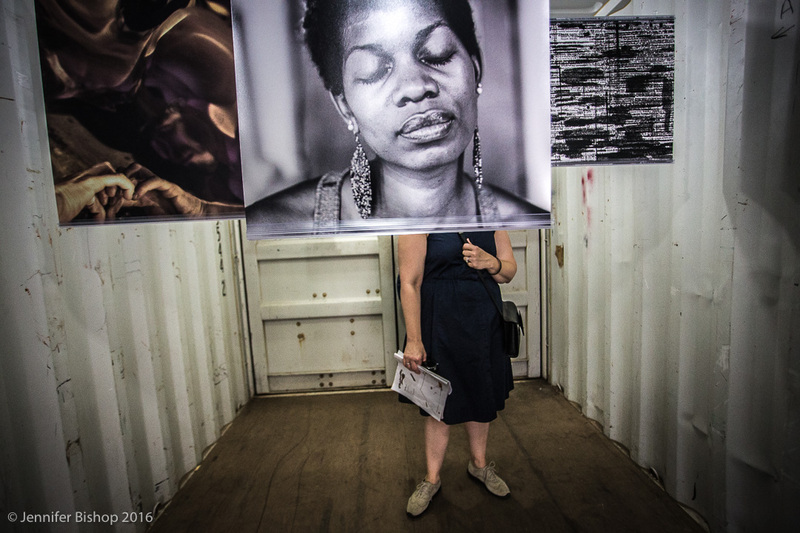 In this photo show inside a shipping container, there was for a moment room for both portrait and person to be part of the same story. I’m not sure which looks more tangible here, the portrait or the spectator. Good play again! You really took us away from the formal Portrait. I like it! thanks David! I considered going with another portrait and then decided this would play better.